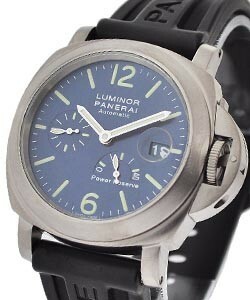 This watch is also known as: PAM125 , PAM0125 , M0125 . 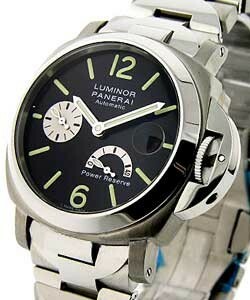 Panerai Pam 125 "Power Reserve Lumino Marina" Mens wristwatch. 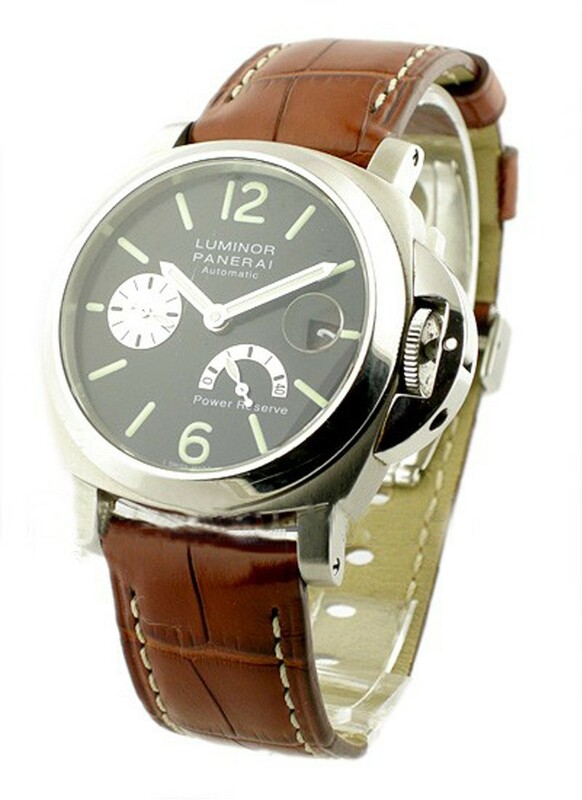 This unique perfect Panerai "Power Reserve Lumino Marina" Ref No:PAM 00125 (PAM 125) features a Rare 40MM Power Reserve Automatic Stainless Steel Watch.Original Brown Gator strap and deployment clasp. 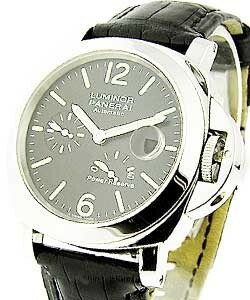 Extra After market vintage style brown strap.Automatic Movement.Black w/ Power Reserve Indicator Dial. 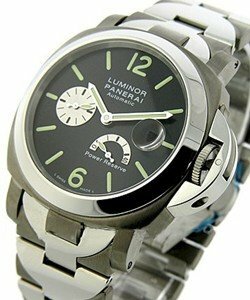 Watch is running excellent and is keeping accurate time. 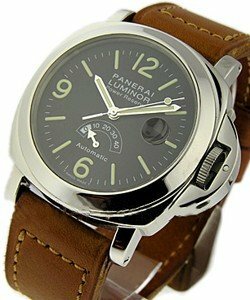 Panerai Pam 125 "Power Reserve Lumino Marina" is created with excellent technique to be charming and durable.All this features make it a perfect timepiece that will reflect the sense of Men's style and their passion about life.